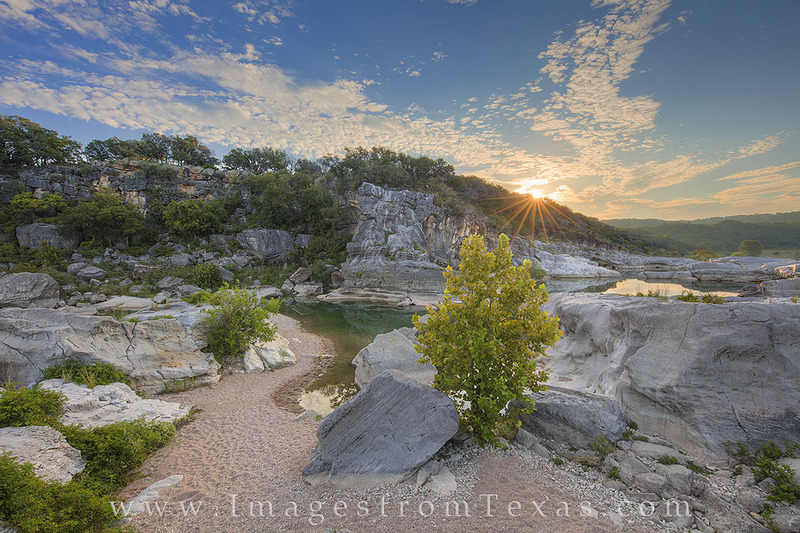 The beautiful Texas Hill Country is a wonderland to explore and photograph. Here, the sun rises over a distant ridge. In the foreground a sand bar leads to the Pedernales River and the clear, clean water that flows through these limestone canyons. This location is one of my favorite places, and a sunrise here is always a great way to start the day. Photo © copyright by Rob Greebon.